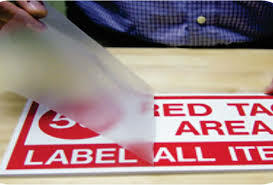 Styletech Application Tape/Premask offers the reliability and dependability that you have come to know for 20 years. Our paper premask keeps graphics from sticking together or curling to allow for clean, efficient processing and a professional, trouble-free application. This product is available in all widths at an economical price. Tape Technologies is also a major converter and supplier of Main Tape Paper Application Tape. They provide a variety of premium papers available in full width logs (48") or any standard or custom widths. We also stock Digiwrap premask for printed graphics in 54" and 60" widths. This application tape has a specially formulated adhesive that will not interact with solvent or UV inks. Styletech Brand Clear Application Tape sets the standard in quality. When looking for a product that can guide you through a detailed graphic or a multi-layered sign application, then our clear tape is for you. This material can sit for long periods after masking and will not curl. Available in a variety of standard sizes, this product is a great value. Main Tape Clear Application Tape is an excellent product to be used when precision application is a must, or when a premium clear product is desired. This product is available in full 48" logs or any width. Styletech C3 Clear Application Tape is an economical alternative when clear premask is desired. If you need to mass produce large quantities of precut graphics or work in a fast paced environment, our C3 Clear was made for you. This product won't pucker and tears as easily as paper. Available in the sizes you need.